Just the smell of a quality leather product sends me to a very, very good place mentally. Growing up, my father would take me with him when he went shopping and the smell of leather in the shoe shops remains a great part of those memories. Since starting my professional career, I've pretty much always carried a bag of some sort to work and have transitioned from inexpensive fabric bags to inexpensive leather ones. Lately I began searching for much better quality yet reasonably priced options. Due to my obsession with details, I decided to look for black, burgundy and some shade of brown. I've since thrifted a beautiful, soft leather briefcase in burgundy and come up on a light brown leather satchel, leaving the black option in play. I initially came across Linjer on Style Forum and then Instagram. After doing some digging around, I reached out to Roman, one of the founders of Linjer to look into getting my hands on one and he was kind enough to oblige by sending one my way. The briefcase arrived in a cloth bag, which I thought was a pleasant touch. 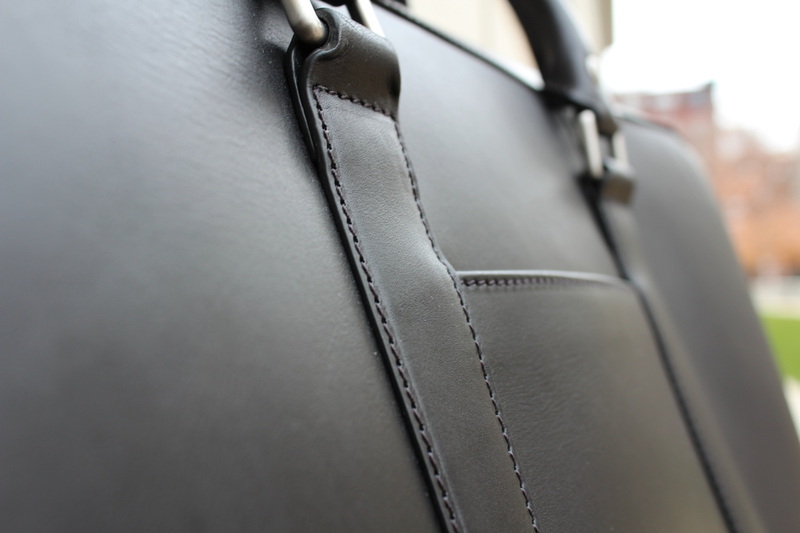 Right out of the bag, the full-grained, vegetable tanned leather looked great and felt even better. 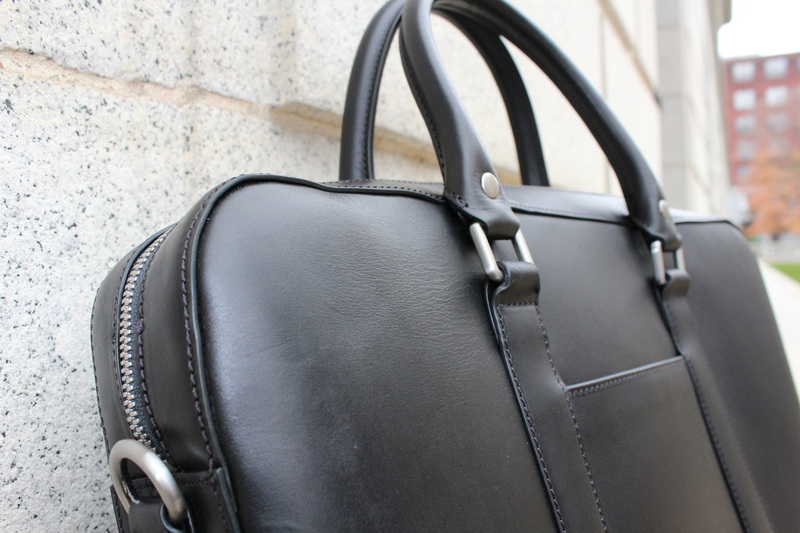 Linjer nailed the smoothness of the leather while avoiding the cheap look that you sometimes get with other bags. The single biggest factor that attracted me to the Linjer soft briefcase is the design. Slim and minimalist with absolutely no visible branding. Mass produced bags like this tend to have logos or something similarly silly on the bag, zippers etc. and its great to see more folks creating items that aren't walking advertisements in the traditional sense. 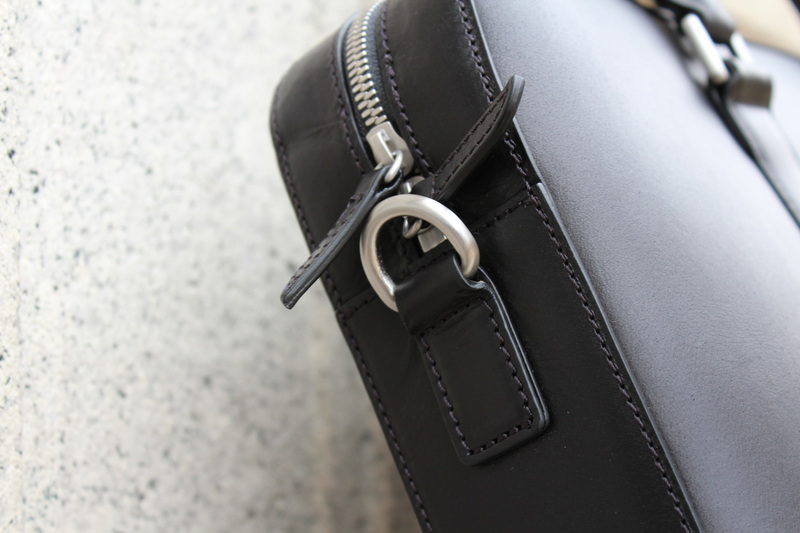 Talking about details, Linjer uses YKK Excella zippers which apparently are the best zippers YKK offers. 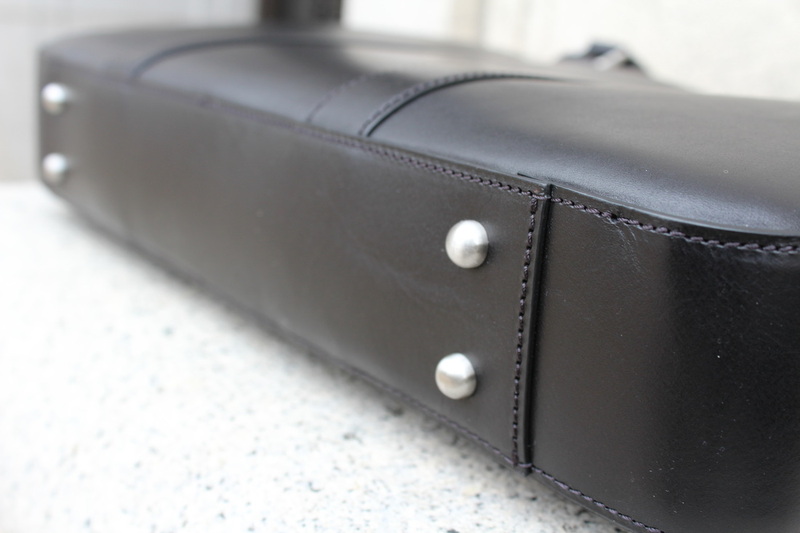 The matte finished hardware (described on their website as antique silver), isn't the flimsy stuff you find on a lot of other leather briefcases out there. The only detail that could have made this bag even better for me would have been loops to hold a newspaper or my stick umbrella. 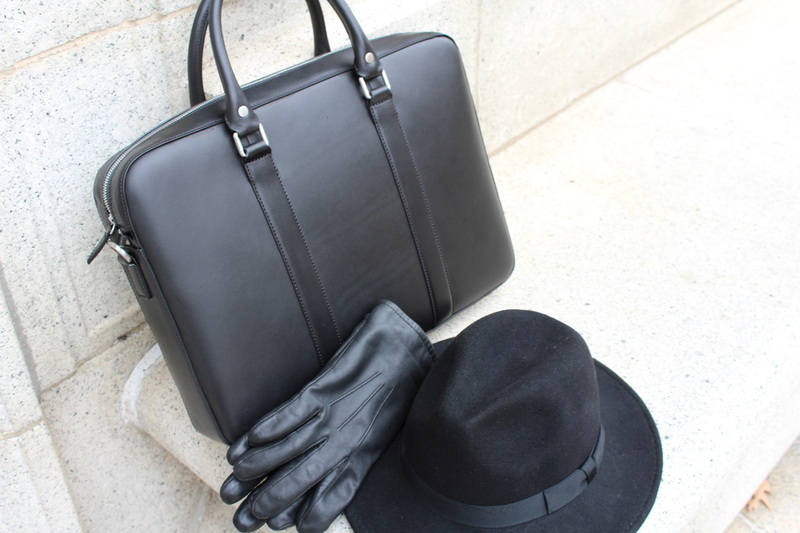 The briefcase is lined with a charcoal grey twill that complements that black leather well and has a padded interior compartment that fits my 15" work computer easily as well as other compartments for pens, business cards etc. 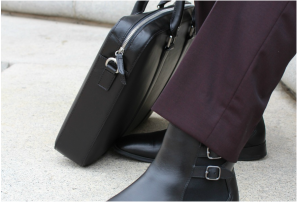 Currently at a price point of $399 (will be $489) via their IndieGoGo campaign, the soft briefcase may still be higher than what a number of guys would want to spend. However, for the design, construction and material the value is definitely there and its not too late to get in on the offering. The campaign has done so well that Linjer has unlocked the soft briefcase in both mocha and navy - both of which I want as I believe its well worth it. Check out Linjer here.